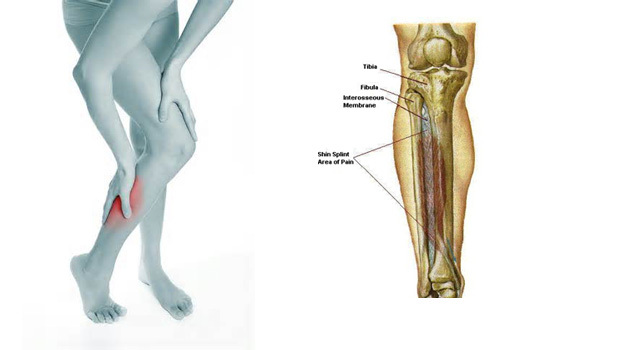 shin splints is a kind of diseases that refers to a painful lower leg. It is not very common for ordinary people. 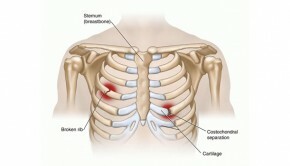 But for running athletes, it is one of the most popular injures. Data show that almost 40% athletes are suffering from this problem. And if you are a fan of running, there is a high chance that you may encounter the problem. Well, good news is that it can be healed by some home remedies. Here we introduce you some useful home remedies and you can just find your favorite one to put into practice. Do some calf stretches. When you feel pain in your legs, you can do some calf stretches by steeping forward your infected legs and keeping the other leg bent. By pressing your heel down to the floor, you can relax the muscle in the back legs. Do it on the opposite side again. Repeat the whole process several times until you feel better. Use ice to reduce the pain. Ice is always regarded as the most common pain-killers. The shin splints is no exception. 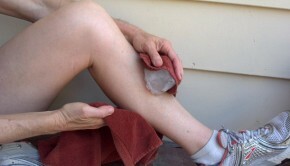 Wrap some ice in a towel and place it on the painful area. In about 15 to 30 minutes, the pain will disappear. Do it 3 to 4 time a day if necessary. Have active rest. Active rest doesn’t mean you stop exercising but refers to low-impact exercises. For example, if you are a professional athlete, complete rest is not allowed as you may decrease your ability. And also, your body will not be accustomed to your new life pattern. So just reduce the exercise intensity and try not to put extra pressure on your painful area. Sooner or later, your body will get used to it and the shin splints will be healed. Try some over-the-counter medicines. If you want to get rid of the pain quickly, you can try ibuprofen (found in Advil). And acetaminophen (Tylenol) can relieve pain as well. Ask your doctor for advice. Wrap shin splits with an elastic bandage. It will help you to reduce the swelling and pain of shin splints. Never wrap it too tightly as it may affect the blood circulation. Elevate your legs as much as possible. Studies find that lifting your legs above where your heart will reduce the swelling of your legs because it can drain fluid away from the injured area.